Jean-Pierre Amoreau halts international sales of 2003 wine, saying he wants to deter speculators. 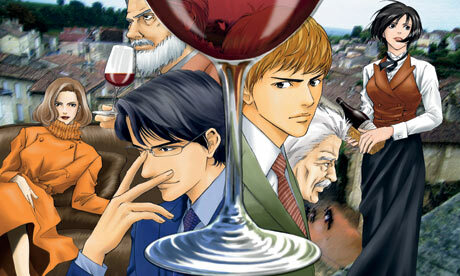 A French winemaker whose little-known 2003 vintage was catapulted to oenological stardom by a Japanese television cartoon has withdrawn the bottles from international sales in an attempt to prevent it from becoming the preserve of wealthy speculators. Jean-Pierre Amoreau, owner of Château le Puy in the Bordeaux region, was “very happy and surprised” when he saw Japanese orders for one of his wines rocket several months ago. His agent in Tokyo explained that in March, a cartoon spin-off of the wildly successful Drops of God (Kami no Shizuku) manga comic series had plucked his vintage from obscurity.